Callum McGregor has signed a new contract with Celtic, keeping him at the club until 2023. 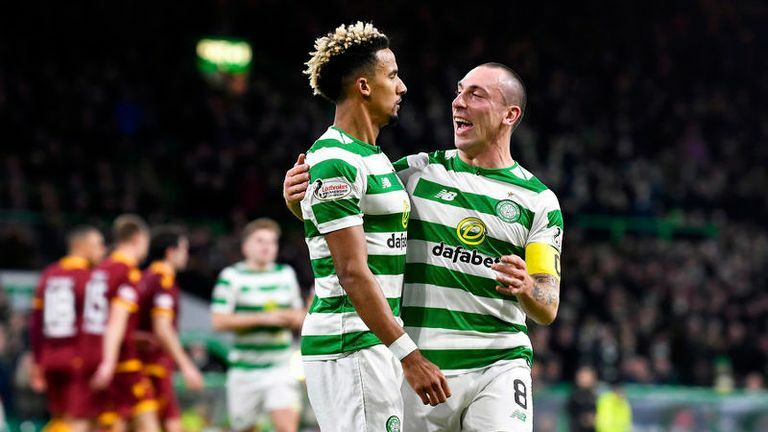 The Celtic academy graduate made his 200th appearance for the Hoops last weekend at Easter Road, and helped Brendan Rodgers' side secure a 3-0 win against Motherwell on Wednesday night as Celtic returned to the top of the Scottish Premiership. McGregor scored on his first-team debut in July 2014, scoring the only goal of the game in a Champions League qualifier away at KR Reykjavik. The 25-year-old midfielder has since taken his Celtic tally to 34 goals, which includes memorable European strikes against Bayern Munich and Zenit St Petersburg, along with four Glasgow derby goals. He has won four Premiership titles, three League Cups and two Scottish Cups, and has been an integral part of the historic Double Treble success the club achieved under Brendan Rodgers.